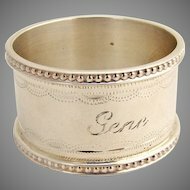 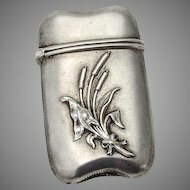 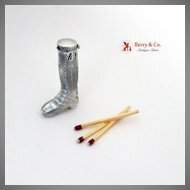 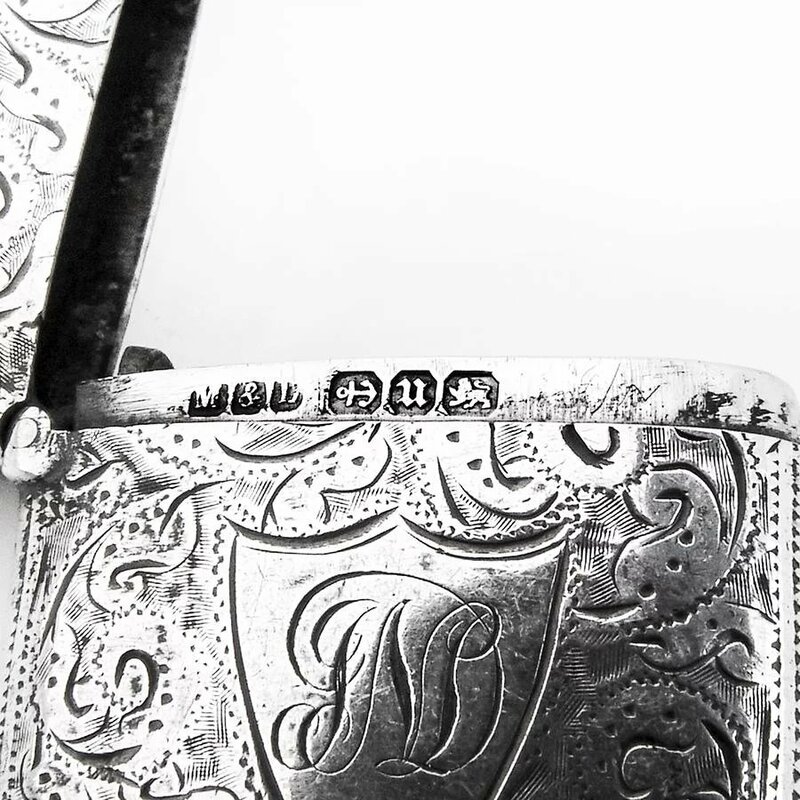 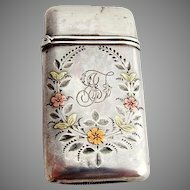 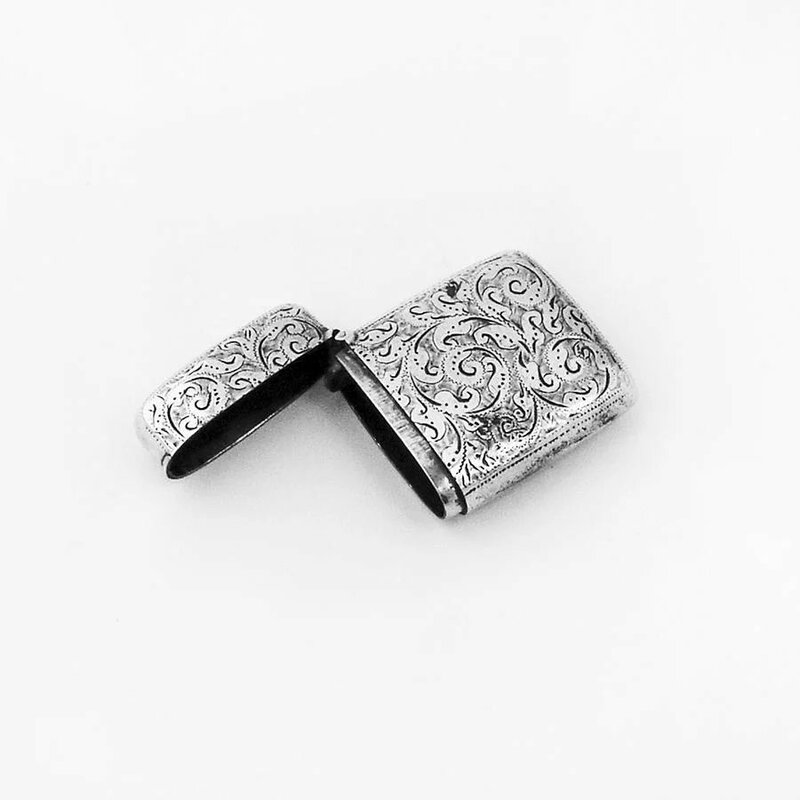 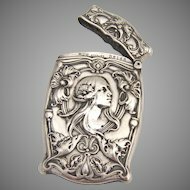 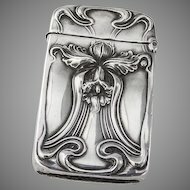 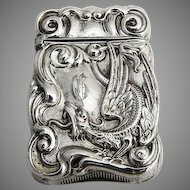 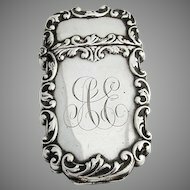 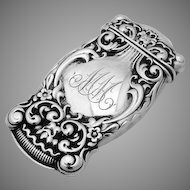 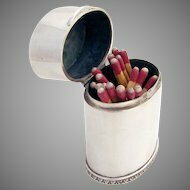 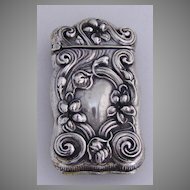 English sterling silver match safe or vesta with engraved scroll decorations, bearing a full set of Hallmarks for Birmingham 1894, made by Minshull & Latimer. 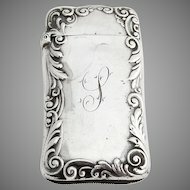 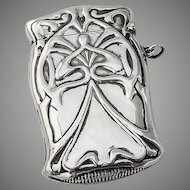 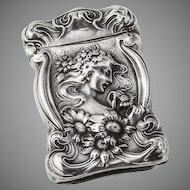 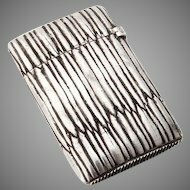 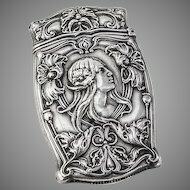 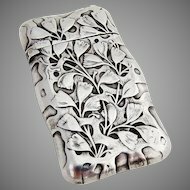 This beautiful case is 1 3/4" long, 1 1/4" and weighs 26.2 grams and it is monogrammed JND. 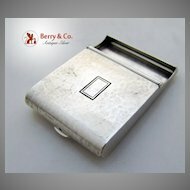 The excellent original condition and clear detail with no monograms or removals, repairs or alterations, make this an especially attractive offering.